Rabbi Chaim Rapoport will present “Homosexuality: A New, Yet Traditional, Perspective” at The University of Scranton’s Weinberg Judaic Studies Institute lecture on Tuesday, Nov. 6, in the PNC Auditorium of the Loyola Science Center. The University of Scranton’s Weinberg Judaic Studies Institute will present a lecture by Rabbi Chaim Rapoport on “Homosexuality: A New, Yet Traditional, Perspective.” The lecture, which is free of charge and open to the public, will begin at 7:30 p.m. on Tuesday, Nov. 6, in the PNC Auditorium of the Loyola Science Center on campus. The lecture will be followed by comments by Charles Pinches, Ph.D., professor of theology/religious studies at Scranton, who will be presenting a Christian perspective. Rabbi Rapoport attended the Yeshivot of Manchester, Gateshead, Torat Emet, Jerusalem, and the central Lubavitch Yeshivah, New York. After receiving his rabbinic diploma, he joined the Kollel community in Melbourne, Australia, where he pursued post-graduate studies, officiated and lectured. 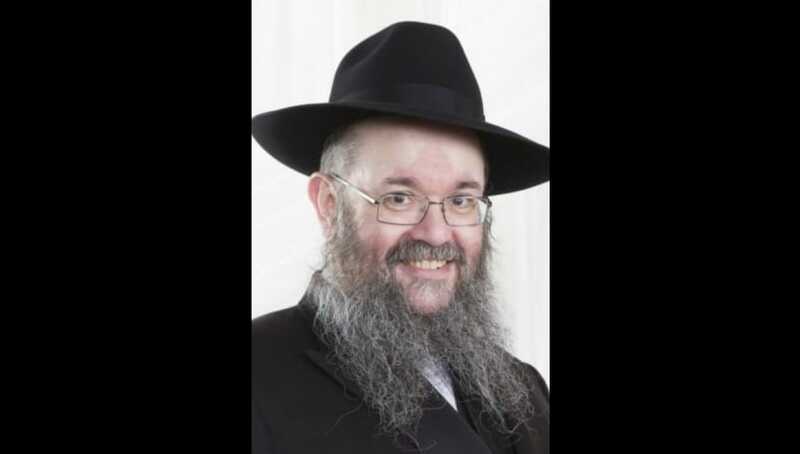 In 1989, Rabbi Rapoport returned to England, where he held several posts, including head of the Leeds Kollel, minister in Birmingham and head of the Birmingham Rabbinic Board. Rabbi Rapoport was appointed as a member of the Chief Rabbi’s Cabinet and Advisor to the Chief Rabbi on matters of Jewish Medical Ethics in 1998. Dr. Pinches joined the faculty at Scranton in 1990. He earned his bachelor’s degree from Wheaton College and his master’s and doctorate from the University of Notre Dame. The Weinberg Judaic Studies Institute was created in 1979 through an endowment funded by the local Jewish community. The Institute fosters a better understanding and appreciation of Judaism, Israel and their histories. It supports visits to the University by Jewish scholars and writers and supports library acquisitions, publications, faculty research, travel and other scholarly endeavors. The work of the Institute was further enhanced by a $1 million gift from Harry Weinberg in 1990. For further information, contact Marc Shapiro, Ph.D., professor of theology/religious studies and the Weinberg Char of Judaic Studies at The University of Scranton, at 570-941-7956 or marc.shapiro@scranton.edu.